USA-CLEAN manages floor equipment fleets of all sizes. We provide training, supply repair parts, and dispatch technicians nationwide. We carry the largest inventory of parts for all brands of floor equipment, and offer same day shipping on most orders. We provide unmatched equipment repair knowledge to help you fix your equipment. We put thousands of resources such as diagrams, manuals, repair guides, videos and part photos for more than 11,000 models at your fingertips. USA-CLEAN is pleased to be your source for parts and repairs on floor equipment. Bruce Bushert bought a carpet cleaning company from a college friend and grew it by cleaning carpets in retail locations nationwide. Bruce saw an opportunity to repair and manage floor equipment fleets. USA-CLEAN invested in fleet management software and technology and developed USAfix™. With an industry-leading platform in place, USA-CLEAN partnered with equipment manufacturers and parts suppliers to save its clients money. 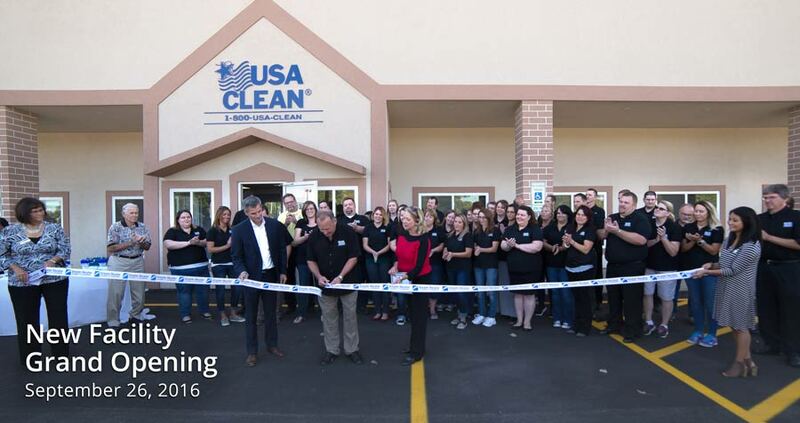 USA-CLEAN is the innovative leader in aftermarket solutions for floor care equipment with exceptional values and people.